This is why I want to start blogging about all of my photos on this memory card. I know where I am headed and what I was doing BUT no idea who I was with (well, I have a couple ideas). This is another picture from college. 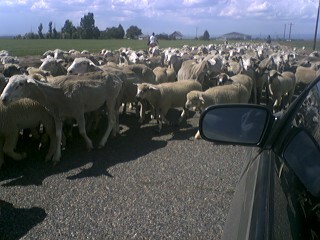 We were headed up to Monkey Rock in Idaho and a farmer was herding his sheep accross the road. It was completley random and I remember thinking it was forever until they moved… FOREVER! I will try to find photos of Monkey Rock. I remember times when the falls were INCREDIBLY strong. Guys would have to shove us under the water because we weren’t strong enough to make it. IT WAS STRONG! Once you were under the falls, it was so hard to breath. I remember having some fun times at Monkey Rock. 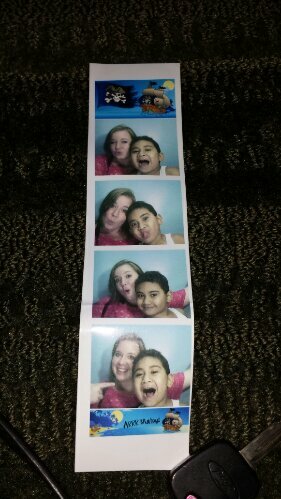 Not really sure when these were taken, besides it was with Elise Carlin Blatter. She was one of my favorite college roommates. I learned a lot from her. I probably shouldn’t say this but the first time I met her she was RUNNING to the bathroom… I will never look at magnesium citrate the same. I really do not think there is such a thing BUT I look back at all the photos on my cell phone memory card and want to write them all down before I forget. Look at how beautiful Ashlee is!!! This is the day after Ethan was born. 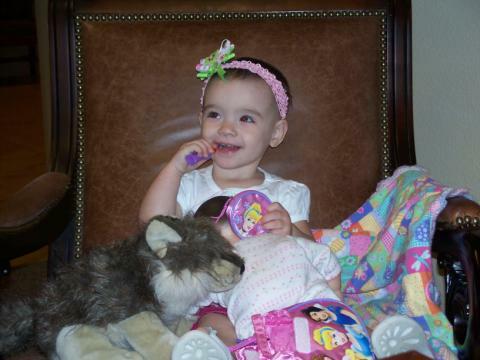 Ashlee had her first sleepover with me AND away from her mommy. I remember pulling out of the hospital parking lot and in the saddest little voice Ashlee tearfully said, “Mommy?” It was so sad I cried too. Ashlee did go to work with me for a little bit before we went to meet Ethan. We slept in the Covington house back living room. I hardly slept all night because every five minutes I was checking to see if Ashlee was breathing. It was a nerve-wracking night. Ashlee did wake me up one time with “Wolfie” in her arms growling at me like a bear that she was scared. I couldn’t figure out why until I heard my roommate in the front room snoring…. SHE SOUNDED LIKE A BEAR. I have a huge soft spot in my heart for Ashlee. I alway hear about this tremendous amount of love a mother has for their newborn children. I can only imagine how strong it is because my love for my nieces and nephews is extremely strong. 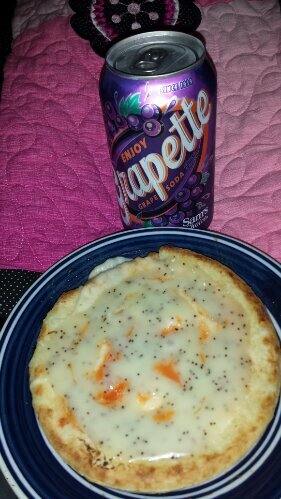 Sometimes I just need to satify cravings. AND, I did this morning! Yesterday was a LONG day at work. LUCKILY Arbor Village bought Starbucks (yum! 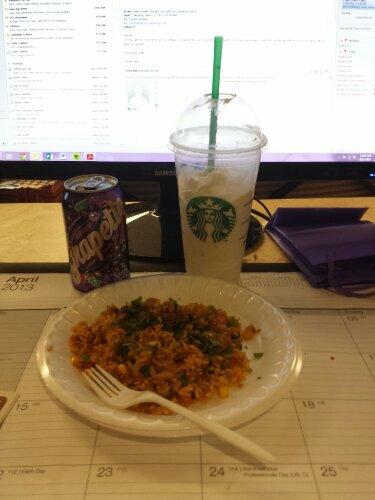 Vanilla Bean Frappacinno) and a staff member made me Chicken Rice Curry… good food/ treats for a lousy day! Notice my calendar is 2 months behind? I spent the day with this wonderful family. I am so glad I was invited for the celebrations. 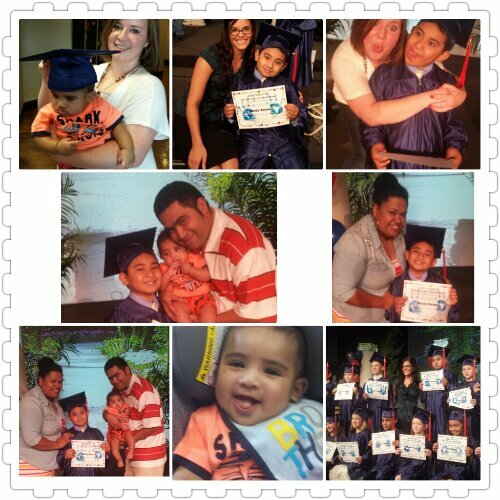 Samuel graduates from kindergarten tomorrow. My little munckin is growing up. This past one and a half years has been so much fun watching him grow up… he is making me feel old 😦 Anyways, yesterday we all went shopping to find graduation outfits. He wanted me to try on this blue, diamond-covered, poofy princess dress. Of course I did it… and no I did not take pictures BUT he said he would buy me the dress to get married in. … WHEN I get around to it, I will post the video of my ifly experience…. it was fun. Do you ever get those times when you are so busy you don’t even know what you have done? That has been my life these past couple of months… so this afternoon I will go through my camera”S” and seen what I can find. I did do ifly the beginning of May at a retreat for work… it was amazing amounts of fun! Nail tutorials will be coming soon too.